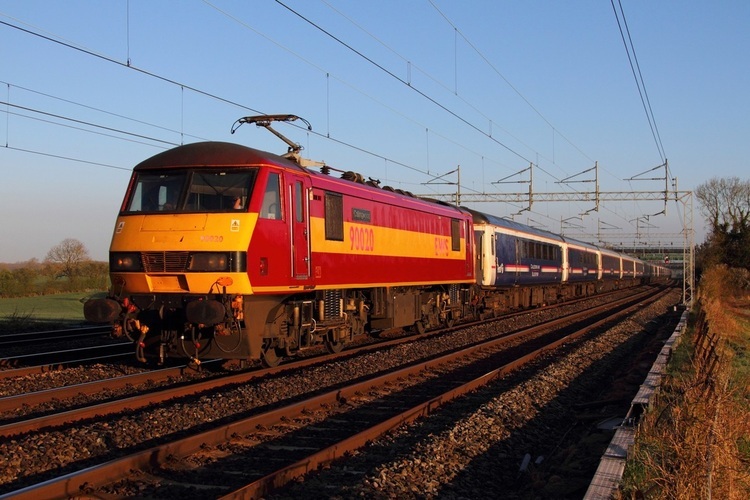 After a third consecutive 5am start and gratefully a third consecutive different liveried skoda, 90029 in DB Schenker red speeds through Cathiron hauling the 1M16 Inverness to London Euston night sleeper on the 1st May 2013. 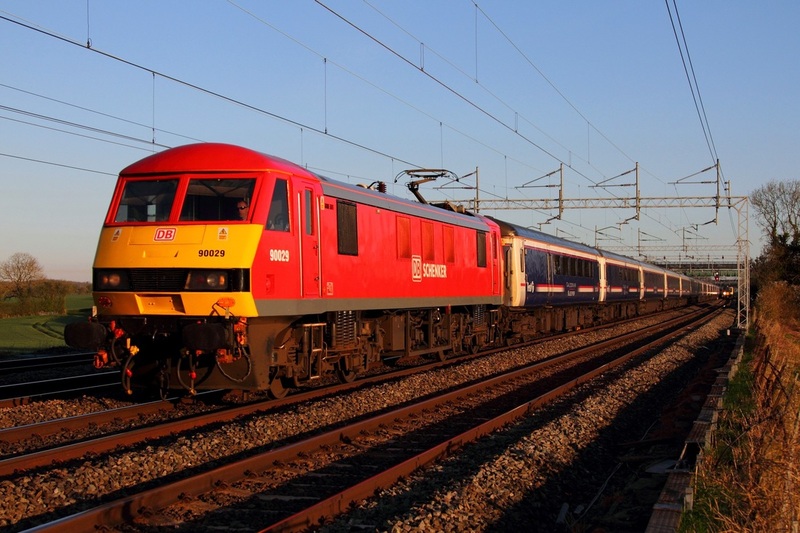 EWS liveried 90020 works the 1M16 Inverness to London Euston night sleeper..
DB Schenker's EWS liveried 90020 leads the 1M16 Inverness to London Euston night sleeper at Cathiron on the 1st May 2013. 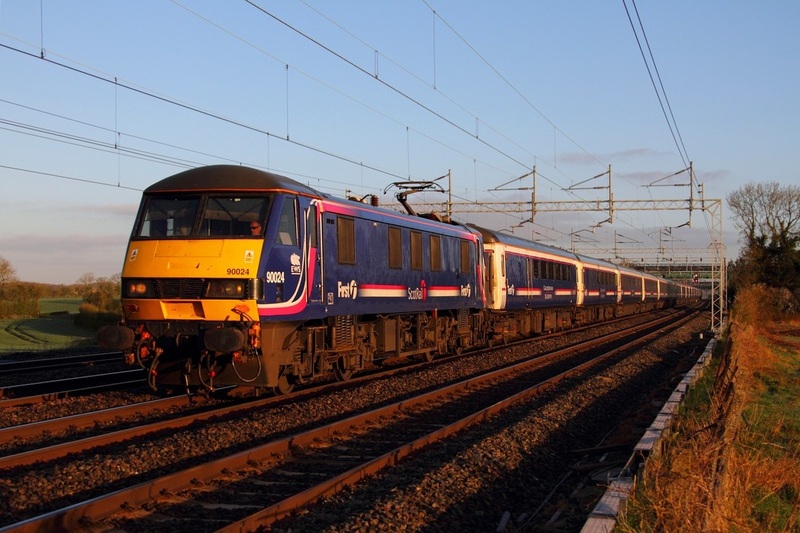 DB Schenker's Scotrail liveried 90024 powers the 1M16 Inverness to London Euston night sleeper at Cathiron on the 30th April 2013.